Our Himalayan Salt Cave is one of about 150 salt caves in the United States and one of less than 10 in Illinois. Whether you live in the Ottawa area or are visiting, if you are looking for a relaxing experience and something healthy to do, our Salt Cave and Wellness Center will not disappoint! We have been bringing wellness alternatives to Ottawa and the surrounding areas since 2009. 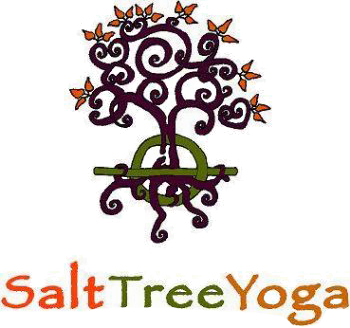 Everything at SaltTreeYoga, old and new, focuses on restoring wellness and balance to the body, mind, and spirit. Our Wellness Center is also home to: Illinois's first Migun Thermassage Bed, which uses infrared heat emitted through jade massage heads, providing both massage and acupressure functions. A Full Spectrum Infrared Sauna (with Near, Mid, and Far Infrared spectrum). The sauna has six pre-set Programs that target secific health concerns. The Dry Hydrotherapy bed is the latest innovaton in dry hydrotherapy. It is an incredible total body relaxation and rejuvenation system that was built in Italy. The manufacturer states that it can relieve insomnia and give the restorative effects of a full night's sleep in a 30 minute session. Ionic Foot Detox, also available with Reflexology or Massage. Relax with Dry Salt Therapy (Halotherapy) in our Salt Cave. Our beautiful Yoga Studio is always full of friendly faces! It's a place where you can seek refuge as well as revive your body and mind through the ancient arts of Yoga and Meditation. We also offer Fitness Classes, Essential Oils Education, Massage, and Reiki services. Our new space includes a gift/retail space that carries handmade jewelry, salt lamps, unique gifts, and CBD and other healthy products to use in your home and in your life. Come rejuvenate and relax in the services we offer. Wander around our beautiful space to shop, and relax with a cup of tea. We believe the human body can often heal itself with the right frame of mind, information, and attention to self-care. Our goal is to give everyone the opportunity to choose their own way to wellness by providing some of the latest natural healing methods that can help bring the body back to a more functional, healthy state. We have spent extensive time researching to find the most current and most effective therapeutic services. We want these services to really work, because we personally will settle for nothing less for ourselves!